BENGHAZI, Libya — Officials in Libya said on Tuesday that an Islamist militia shot down a helicopter outside the eastern city of Benghazi, killing two French special forces troops who were onboard. The officials, one an air force officer who knew of the helicopters' passengers and the other an official working for Western missions in Libya, said that there were no survivors in the attack, which took place on Sunday. They spoke on condition of anonymity because they were not authorized to brief the media. A militia that calls itself the Defending Benghazi Brigade claimed the attack, saying it had used an SA-7 shoulder-fired missile and heavy machine guns to down the aircraft, which belonged to forces under Gen. Khalifa Hifter, the head of armed forces based in Libya's east, who they oppose. The incident highlights the secretive western military cooperation with the eastern forces led by Hifter, an anti-Islamist who opposes the United Nations-brokered, Tripoli-based unity government but is supported by the internationally-recognized parliament in the eastern city of Tobruk. Officially, the international community only recognizes the unity government and is imposing an arms embargo until the government unifies the army. Libya slid into chaos after the uprising that led to the ouster and killing of longtime autocrat Moammar Gadhafi in 2011. The power and security vacuum left the country a breeding ground for militias, and militants including the Islamic State group and al-Qaida affiliates. The reported French deaths come as Libyan rival factions are holding meetings in Tunisia over the weekend to search for a way to break the deadlock, including changes to the U.N.-brokered road map. On Tuesday, negotiators came up with a joint statement asking the government for an action plan to solve the persistent energy crisis, power cuts, and cash shortage. It also said that the political factions' support to the government is "conditional" and depends on its success. Mattias Toaldo, a Libya analyst at the European Council on Foreign Relations, said that the government has received a "yellow card." "Despite the good will, it seems that these crucial issues are becoming more intractable by the day," he said. French special forces have been helping Libyan troops fight Islamic State group militants in the eastern city of Benghazi since the spring. Officials told The Associated Press then that the troops help pinpoint militant locations, plan operations and carry them out. They had also been training Libyan forces. Together with British and American teams, they have set up an operation room in Benghazi's Banina air base, the officials said. 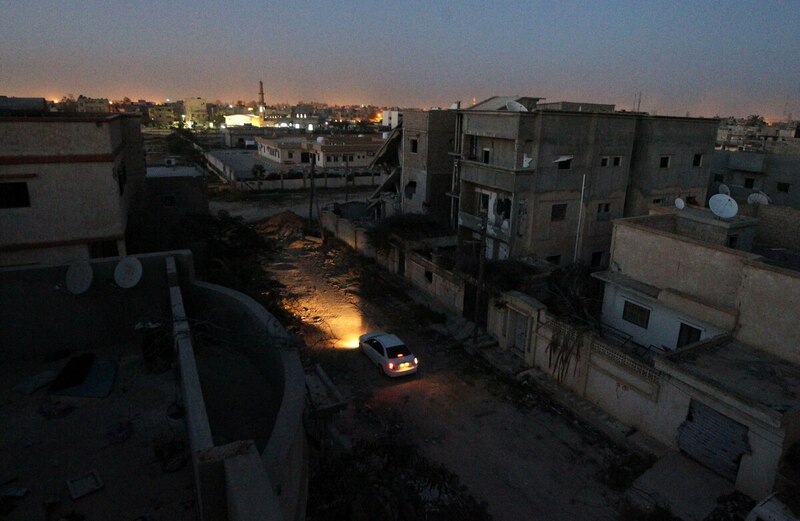 While helping Hifter fight Islamic militants in the east, other teams are helping Hifter's rivals in the city of Misrata to fight Islamic State militants in their stronghold of Sirte, officials said. Militia forces loyal to the unity government have been battling IS militants in Sirte since May.